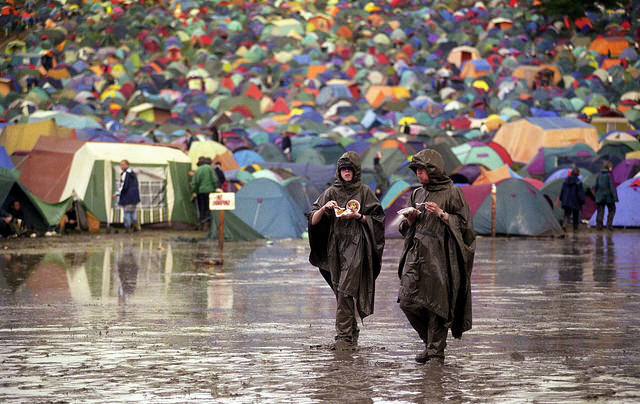 What Security Measures are Needed to Keep a Festival Safe? - Close Circuit Security Organisation Ltd.
What Security Measures are Needed to Keep a Festival Safe? Festivals are continuing to grow both in size and popularity. With a larger number of people attending it’s essential to have the right security measures in place. Festivals are a massive draw for people of all ages, and the potential audience for any single event is huge. Big name festivals such as Glastonbury continue to bring in huge crowds, and independent festivals are becoming more common. A big crowd is always difficult to keep in order, but adding drugs and alcohol into the mix will provide a whole new challenge. To keep a festival safe it’s vital that certain security measures are put in place, and here are some that should be at the top of the list. Festivals tend to have one main entrance, and it’s where security should begin, as well as allow the staff to set the tone for how security will be handled for the entirety of the event. Every festival is different and has specific rules in place about bringing alcohol onto the site etc. All security staff at the entrance need to be aware of these rules, and whether or not it’s necessary to carry out searches. By preempting potential trouble at the front gate, and either turning certain attendees away or confiscating any items they shouldn’t have, security staff can massively reduce the chances of a security breach. Festivals tend to be pretty big, and in some cases enormous, so without an established perimeter security will be in for a bit of a nightmare. Most festivals have an entrance fee or tickets, and some of the bigger name ones aren’t cheap, so not having a fence is asking for trouble. From a security point of view, it’s crucial to have a fence that is sufficient to stop people climbing over with ease. By doing so, it means that attendees will have to go through designated entrances where there will be security staff posted. Without fencing attendees will be able to avoid security altogether, bringing with them any drugs, alcohol and dangerous weapons they want. At a festival, there’s a lot going on at all times, and security will need to try to keep an eye on as many areas all the time. This may sound like an impossible task, but by having security placed in specific areas, as well as patrolling it gives you a better chance of securing the entire area. There’s likely to be several tents, bars and stage areas, so it’s a good idea to have security in places that you think will require constant attention. Static security at events will also act as a deterrent to any trouble-makers in these areas, with eyes on the crowd at all times there’s less chance of trouble. Patrolling security is ideal for both inside and outside of the event, the outside of the fence will need a patrol to keep an eye out for any trespassers or people jumping over. Then a patrol in and around the event will be sufficient to keep an eye on the less populated areas where there may not be static security. To keep any event or festival safe, it’s vital that there is on-site medical services, or at least staff members who are medically trained. With such a large number of people attending festivals, many of which who are drinking alcohol, there’s always a risk of the occasional medical emergency. When you hear security, you tend to think of security guards, but medical staff are a huge part of maintaining the safety of events. You never know when attendees or staff members may be in need, and having the right resources on-site could potentially save lives. Festivals never fail to attract a massive crowd, with so many people in one place the need for efficient security is a top priority. To make any event as safe as possible there need to be the right security measures put in place, the list above are imperative and required at any festival. 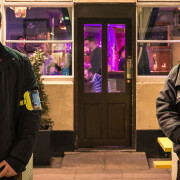 If you need information about our services and what we can do for you in regards to event security, or have any other enquiries then don’t hesitate to contact us via 0203 246 0094 or email us at office@closecircuit.co.uk.